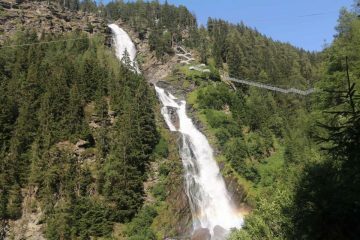 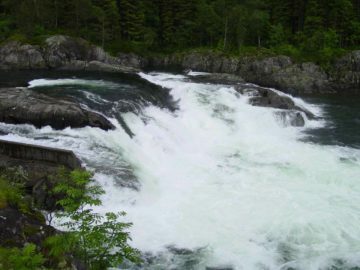 The Southern Norway Waterfalls are found in a region that is considered to be some of the sunniest parts of the country. 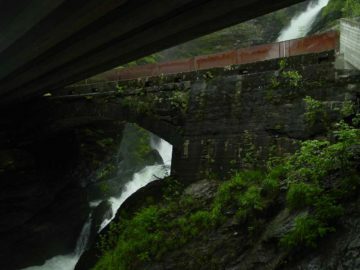 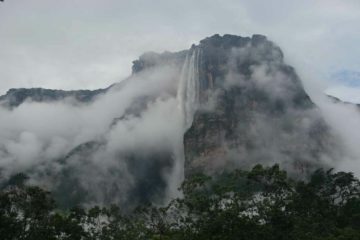 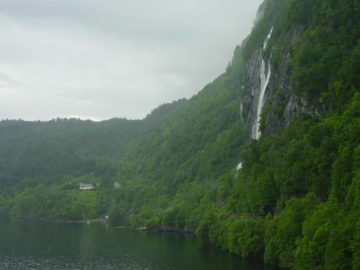 While this is great news for folks who love touring its charming coastal towns and cities (especially, Kristiansand and Oslo, the country’s capital), this meant that we had to search a little harder and drive a bit farther to find such waterfalls. 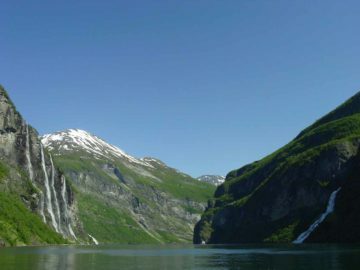 Nonetheless, they provided excuses for us to experience some of the country’s more hidden charms such as the traditional Setesdal Valley, the cradle of tourism in Rjukan, and even a stave church at Heddal. 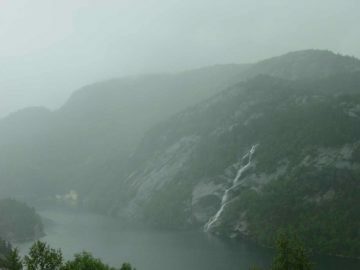 In addition to the sunny coasts, the southern extreme of the world famous fjords harbored iconic attractions like the Preikestolen (the Pulpit) with its flat plateau that would suddenly drop into the Lysefjord (fjord of light) as well as Kjeragbolten, where a rock that you could stand on was wedged between two narrow cliffs dropping over a thousand feet below! 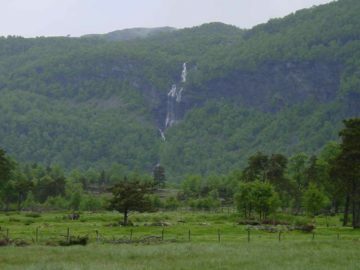 For the purposes of this website, South Norway encompasses the counties of Telemark, Aust-Agder, and Vest-Agder in the far southern extremes of the country. 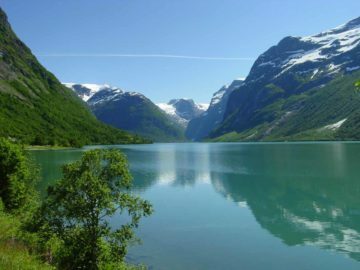 We’re also including Rogaland County at the far southern edge of Fjord Norway’s rugged west coast. 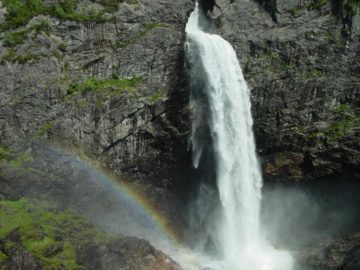 Among the waterfall highlights were the Månafossen, Reiårsfossen, and Teinefossen. 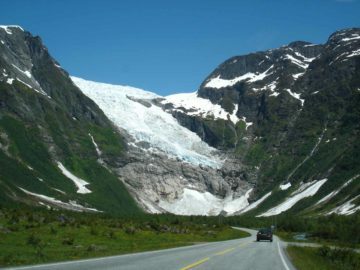 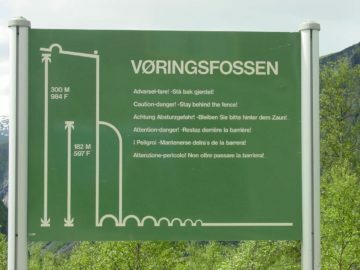 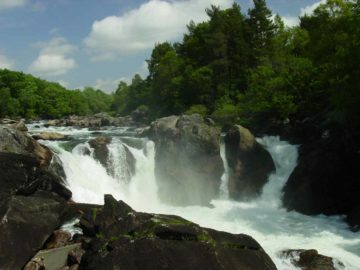 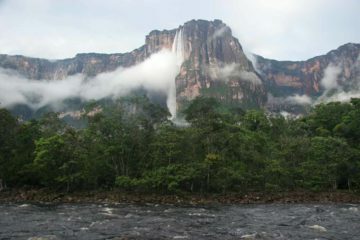 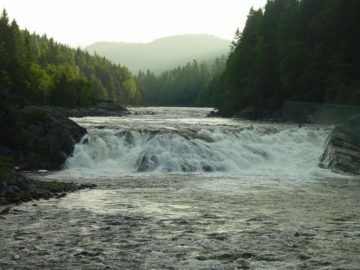 Although our initial visit here in June 2005 was largely for the purposes of waterfalling, Julie and I have learned to diversify our experiences, and we feel like we need to come back here on a future visit to the country and explore more of this sunny side of Norway.